Welcome to Matelot Gulch Mining Co. 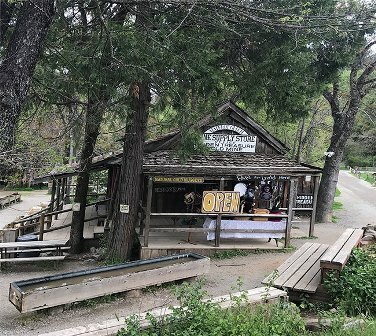 The Matelot Gulch Mining store offers affordable panning for gold and souvenirs in Columbia State Historic Park. We have been family-owned and operated since 1964. 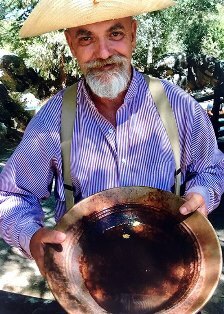 We are passionate about gold panning, and educating people about the history of Gold Rush here at Matelot Gulch is one of our favorite ways to spend the day. We are excited to share with you the experience of panning for gold much like the miners did back in 1849. Like many miners of the past, we are not set up by a river due to the lack of water Columbia had in the 1850's. Miners would funnel water to Columbia by ditch and flume and run the water into troughs to pan for gold. We dress in period clothes to recreate the ambiance that this unique mining town had in the 1850's. You will see docents throughout Columbia State Historic Park dressed in this manner. Matelot Gulch Mining offers an affordable and fun learning experience for all ages. All of our panning options allow you to pan for real natural gold and gemstones. In addition, we do not limit the time or fun on your gold panning adventure; the prices are good for the day! With our professional and courteous staff, you will have an experience that cannot be matched. Not only are our programs fun for students, they're designed to meet the California state curriculum standards for fourth grade students. This is a fun and exciting way for you to learn about the history of California's gold rush, while having an adventure you'll never forget! Call or email us today to book a reservation for your class. If you are not a school and just coming to visit the town and would like to pan for gold there is no need for a reservation. Come browse our website for your next exciting,Gold-Panning adventure!